Facet Arthritis, What is it? The facet joints are aligned on the back of the spinal column, linking each vertebra together. The joints are covered with articular cartilage that function jointly with the spinal disc spaces between each vertebra to allow movement and flexibility on the spine. Although, like other joints in the body covered with articular cartilage, the facet joint cartilage will breakdown as a result of degeneration which makes them more prone to be affected by arthritis. Healthy facet joints naturally fit together in between each vertebra, gliding smoothly without friction or pressure but if stress begins to build where the joints meet, the articular cartilage on the surface wears off. Facet joint arthritis can also develop as a result of a previous back injury. Degenerative or herniated disc problems, fractures, and ruptured ligaments cause an abnormal misalignment of the spine, adding extra stress and pressure on the surfaces of the joints. Significant low back pain is usually the first resulting symptom of facet joint arthritis. Other symptoms of the condition include loss of flexibility and mobility of the spine and pain or discomfort that radiates down into the buttocks and down the back of the leg due to the local inflammation and swelling of the joints. If your symptoms become persistent and increase to a debilitating degree, it might be time to consult your specialist. 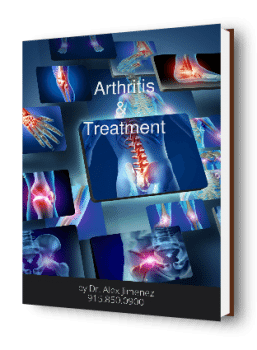 Dr. Jimenez advices on the treatment protocols for facet joint arthritis consisting of adjustment and manipulations techniques such as the cox flexion distraction technique among others, followed by the appropriate stretches and exercises that will be best for you.